This lightweight and portable tabletop display offers some fun facts about the dairy industry through an interactive wheel and lifting panels. PVC board core with custom printed vinyl. Measures at 35 by 25 inches. Display is 1 inch thick. Rotating stand pieces measure at 12 inches long. Wheel is 17 inches in diameter. Weighs approximately 10 pounds total. Most cows aren’t so easy to carry. 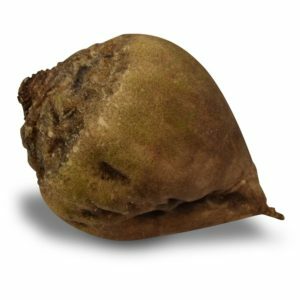 But here’s one you can practically carry with one hand. 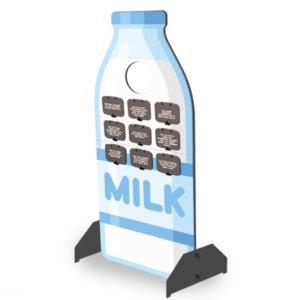 This compact, portable tabletop display offers some fun facts about the dairy industry. It’s not just a sign, though. 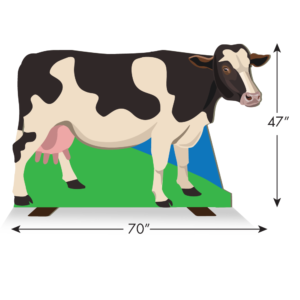 With simple interactive elements, the small cow cutout engages heads and hands. Folks quiz themselves with the questions on the panels and can check the answers underneath by lifting the doors. 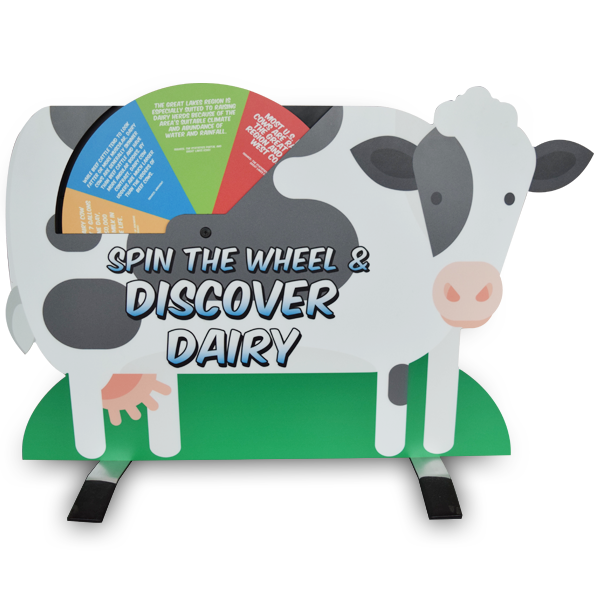 On the other side of the cutout, people can spin the wheel to learn some fast facts about dairy cows and dairy farmers. We engineered this display for easy transportation to fairs and other events. With its small size, lightweight elements, and disassembling elements, this cutout display is easy to bring from place to place. 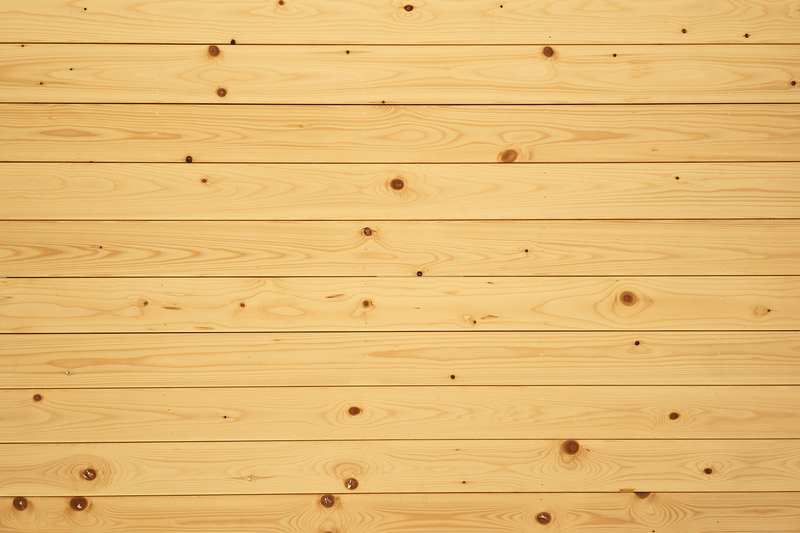 And, thanks to its stabilizing feet, it can stand alone on a table or floor. 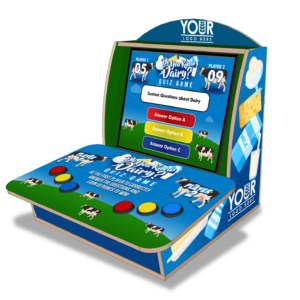 To learn more about the “Tabletop Dairy Cow” display and other agricultural displays, visit our custom products page.